​Please contact the sellers directly. 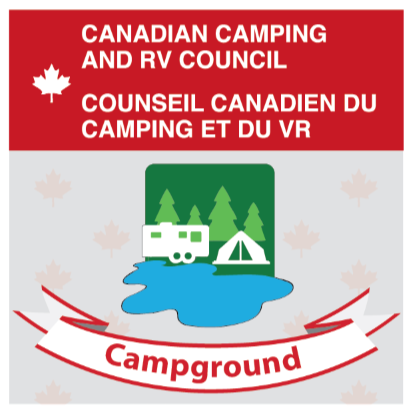 ​When purchasing in the campground there is a flat fee of $350 to do so. All campers require a $200 site deposit to be paid as well as a $20 per gate card (max.2) as well. These get refunded upon leaving the campground as long as your site is clean and in order when leaving and no outstanding balances. ​All sites have power and water. Sewer sites vary. Want an all in one package? This price includes ALL listed below! 14' living and dining pull-out- Electric awning and (tongue jack?) -Sleeps 10-12 comfortably -bunks at the back and Queen bed at front of camper with heated mattress -Table converts to bed, couch has blow up mattress with built in pump. -all real wood cabinetry, rooms have pocket doors and not curtains -Dual shades for day and night use -Comes with two flat screen TV's one in front bedroom and living area Selling with everything included in pictures, already set up and ready to be enjoyed by a family. -( 30x15?) pressure treated wood Deck with built on gazebo and built on roof, insulated and carpeted floor, removable window panels all around with screen panels, patio furniture, tables, cabinets. (can sell gazebo/panels and roof separate) -Bell satellite dish -8 x 10 Shed wired with electricity and newly sided, apartment size fridge with top freezer and attached wood shed with 1/2 cord of dry wood -Smaller Black and Decker shed - BBQ -Convertible 3 person swing (turns into a lounge bed) with protective cover - 6 Wood Muskoka chairs with thick cushions for added comfort - Northern design Fire pit ring (bear, moose, pine trees) -All dishes, utensils, pot, pans, toaster etc included, linens etc -Too much to mention. will remove my personal effect and leave everything else. Always well maintained and kept clean, no pets, non smoking. -No reasonable offer will be refused. Trailer #2: 2008 Jayco Jayflight 28ft. ​Check out this wonderful bundle! Get camping and making memories with your family in this dynamic trailer! Includes: curtains in addition, full size fridge in the shed and a storage bench. The couch in addition can stay if wanted. Other small items included as well. With 1 Queen bed, 1bunk bed (double in bottom, single in top) ,1 futon style pullout couch. Trailer #3: 2012 Jayco Jayflight 40ft. Beautiful and well maintained trailer. Includes: 35 foot deck, wood shed, firewood, outside furniture. If you've already stayed with us please click this link and give us a review of your experience! Thank you! Subscribe to our Newsletter for camping tips, tricks, hacks, discounts and promotions! Copyright 2019 Cameron's Beach Campground . All Rights Reserved.